Another great British film showcasing humor amidst high crimes. Made for fans of wry British crime comedies. Rated NR - most likely restricted for language, violence and some sexual content. From John Michael McDonagh, brother of In Bruges writer/director Martin McDonagh, comes a similar tale of crime and corruption with a flare of rye British humor. 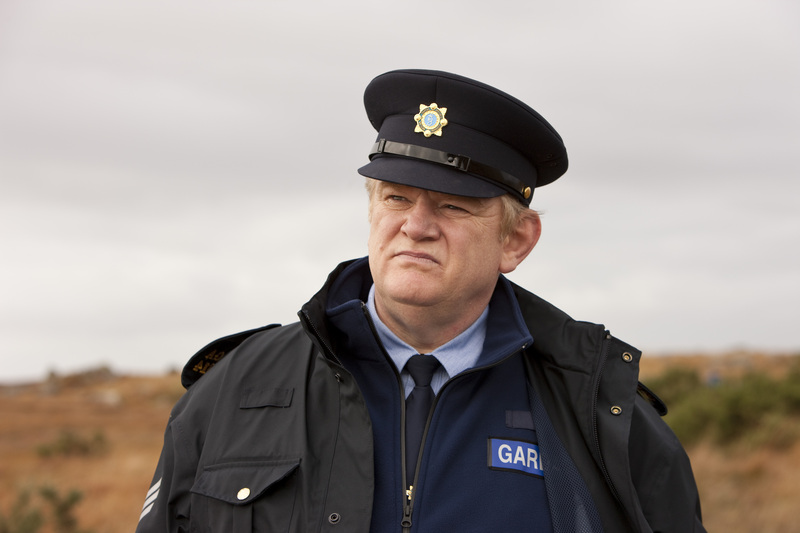 Sergeant Gerry Boyle (Brendan Gleeson, In Bruges and 28 Days Later) simply doesn’t give a damn. The opening scene shows us a perfect example of how little this guard – or as we know them in the U.S., police officer – cares about doing his job. He has no integrity for his work. People are stupid, so let them do the stupid things that lead to their own self destruction. Problem solved. When it comes to light that half a billion in illegal drugs are going to be smuggled through his tiny Irish village, Gerry is forced to reconsider is values. Having more insight into the internationally recognized drug trafficking case than any other local guard, Gerry is ordered to work along side the American FBI agent (Don Cheadle, Iron Man 2) sent to investigate and capture the mules. Although The Guard veers off track several times by telling bland and unimportant side stories, when it sticks to the main story, it works very well. The on-screen “buddy-flick” chemistry between Gleeson and Cheadle is comparable to Eddie Murphy and Nick Nolte in 48 Hours – only the races are swapped and the comedy is dry, extremely dry.